Manuela Caiani is Associate Professor at the Institute of Scienze Umane e Sociali at the Scuola Normale Superiore (SNS) of Florence. In April 2017 she got the ‘Italian Abilitazione’ for Full professor in Political Science and Political Sociology. 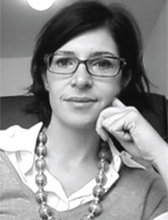 Her research interests focus on: Europeanization and social movements, right wing extremism and populism in Europe and the USA, political mobilization and the Internet, qualitative methods of social research (including formalized content analysis, frame analysis, interviews, social network analysis), political violence and terrorism. She has been involved in several international comparative research projects (FP4, FP5, FP7) and coordinated research units for individual projects and grants (PRIN Project 2016-2019; Marie Curie 2011-13, FP7-PEOPLE-2009-IEF, n° 252957; Research Grant Jubilaumsfonds, ONB, Oesterreichische National Bank, 2010-2012, project n. 14035; Post-Doctoral TRA Fellowship, START Center, 2009, University of Maryland; Funding Award, CNR-Italian Research Council, 2005). She published in, among others, the following journals: Mobilization, Acta Politica, European Union Politics, South European Society and Politics, RISP and for the following publishers: Oxford University press, Ashgate, Palgrave.